This book review was published by Slashdot, 2006-11-20 . Anyone involved with the coding of websites likely knows that Cascading Style Sheets (CSS) should be used for styling the content of their sites' pages — setting text sizes and fonts, setting background colors, sizing margins, positioning images, and more. CSS allows the Web developer to specify the visual appearance of the site, separately from the HTML, and thus to be able to make changes in the future within a single stylesheet, rather than hunting through the HTML and modifying every occurrence of each effected element. The benefits of CSS are many, but so too can be the frustrations when the developer turns for help to CSS books heavy on theory and light on practical explanations. 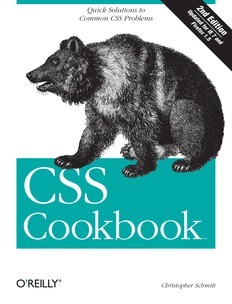 For every website "cook" feeling the heat in their cyber kitchen, there is an ingredient that can help: CSS Cookbook . Written by award-winning Web designer Christopher Schmitt, this book is published by O'Reilly Media on 17 October 2006, under the ISBN 978-0596527419, and is in its second edition, having been updated for Internet Explorer 7 and Firefox 1.5. The book has its own Web page on the publisher's site, offering the book's table of contents, the index, Appendix D ("Styling of Form Elements", in PDF format), and links for reading and submitting book reviews/comments, as well as reading and reporting errata (there are none, as of this writing). The book's 538 pages are organized into 12 chapters, which cover the major areas of interest to the Web developer: CSS overview, typography, images, page elements, lists, links and navigation, forms, tables, page layouts, printable pages, hacks and workarounds, and design considerations. Appendix A briefly describes some of the better online CSS resources, including tutorials, design guides, discussion groups, technical references, and tools, such as the W3C validators. The next two appendices cover CSS 2.1 properties, proprietary extensions, selectors, pseudo-classes, and pseudo-elements. The fourth and last appendix, on the styling of form elements, details how 20 CSS properties affect eight form elements, as displayed within Windows Internet Explorer 5, 5.5, 6, and 7; Mac Safari 2; Windows and Mac Firefox 1.5; Windows and Mac Netscape Navigator 7.2; and Opera 8.5. 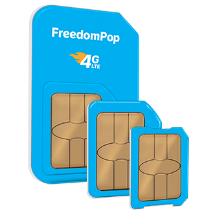 The form elements considered are: checkboxes, file upload elements, radio buttons, text fields, multiple options, select elements, submit buttons, and text areas. The author does not explain exactly what page elements are meant by "File Upload" (at the beginning of the appendix) or "File Input" (the actual section title). Presumably he is referring to the file display field and Browse button, and not the file locator dialog box, which is determined by the browser and operating system. More importantly, he does not explain what is meant by "multiple options" nor "select elements", and neither term is listed in the book's index. Future editions of the book would benefit by beginning every element's section with an example, showing the code as well as the element's appearance on a Web page. Despite this obvious omission, this appendix could prove a godsend to anyone concerned with how these various types of elements are affected by CSS within these eight major browser versions. As noted earlier, the appendix can be downloaded for free. HTML/CSS books generally fall into two broad categories: Introductory books are usually sufficient for beginners, because they cover the basics. But they are typically useless to the veteran developer who is struggling to understand why Internet Explorer is mucking up yet another page that looks fine in Firefox, Opera, and Safari — and how to work around the problem. Advanced books assume that the reader already has a relatively solid understanding of the technologies, and uses that basis as a foundation from which to explore sophisticated design techniques. But even those books prove inadequate for the developer who is simply wondering how to best use pure CSS to do such presumably straightforward tasks as positioning some images horizontally, with small captions centered underneath each one. In fact, many of those advanced books seem to have little interest in clearly explaining how the reader can do what the author has done, largely because the sample projects and their source listings are too long and involved, thus burying the critical HTML and CSS in pages of code. There is clearly a great need for one or more HTML/CSS books aimed at the developer who already understands the basics, and wants to apply that knowledge for building robust Web pages, all while following defensible best practices. The O'Reilly "Cookbook" titles are intended to fill that gap, by presenting the material in the form of recipes, each comprising a brief statement of the problem to be solved, a summary of the solution, and a discussion of the solution's details. Oftentimes additional resources are referenced, in a "Sea Also" subsection, which might have one or more links to relevant websites. The discussion subsections usually have sample code, in addition to a figure showing the code's output. Possibly the greatest benefits of the cookbook format, is that it forces the author to clearly state the purpose of each section, and then to get right to the point of how to achieve that purpose. This prevents the meandering seen in many of the advanced design books, which is the main reason why they can be so frustrating for the developer who wants to quickly find out how to perform a specific task on a Web page, such as the image positioning task mentioned earlier. Possibly the biggest downside to the cookbook format is that it results in contrived problem statements, such as the very first one in CSS Cookbook : "Problem — You want to use CSS in your web pages." Is that truly a problem? Is it not much more a goal or task, than some sort of problematic difficulty? Yet aside from any misleading subsection titling, the recipe format does cause any (largely) expository material in a technical book to get chopped up into somewhat artificial pieces. It is more noticeable in the first chapter of this particular book, titled "General", in which Schmitt explains the fundamentals of CSS: selectors, classes and IDs, properties, the box model, style sheets, comments, shorthand properties, floating images, absolute and relative positioning, and using CSS with the more common page development tools. As the author gets into more advanced topics — for which individual subsections can stand more on their own — the recipe format works fine. One advantage is that the section titles end up being detailed enough that the reader can, in most cases, quickly find the relevant section to address their needs. Overall, this book is a fine addition to O'Reilly's growing list of programming titles. However, like all books, it is not perfect. It does not cover all of the more common tasks that the average Web programmer might want to accomplish — but it does hit the bulk of them. Sadly, all of the figures in the book are in black and white, including those displaying colors on the sample Web pages. Shades of gray are just not optimal. Fortunately, in most cases, the crux of the technique is discernible. In addition, the sample code has too many instances where layout is achieved using tables, and not pure CSS. Lastly, the book's index — similar to that of so many other technical books nowadays — could certainly use some beefing up. After all, if the reader cannot find the desired material using the table of contents, the index is their last hope, before resorting to time-wasting page flipping. On balance, CSS Cookbook is to be recommended to any developer looking for a CSS guide that is concise, clearly written, well-illustrated, and addresses the most common challenges in building Web pages. Everything else you've done has been great, so please go ahead [with the proposed improvements].